For thicker films between several microns to several tens of microns, we provide wafer bonding and thinning service.The top wafer can be various crystals such as Lithium niobate, Lithium tantalate, Quartz, Silicon and etc. The thinning is achieved by wafer grinding and polishing. 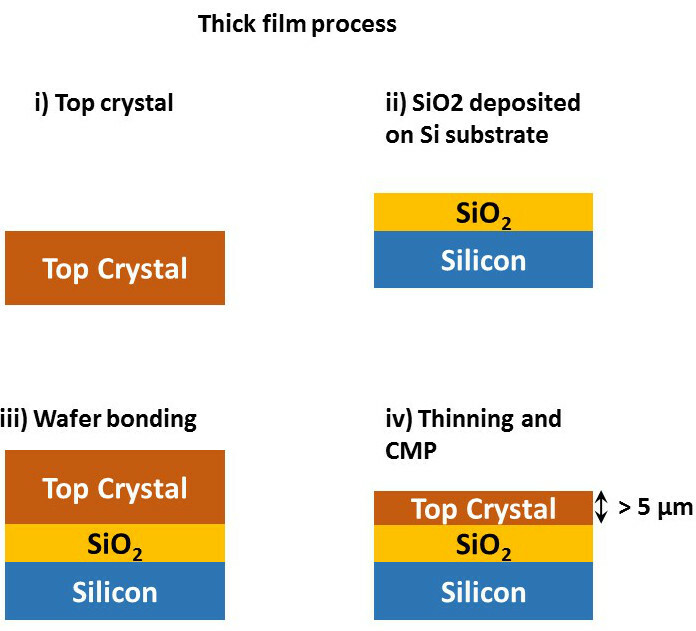 Final thickness for the thick film is several microns with about +-1 micron uniformity. Material Silicon Silicon, Lithium niobite, Quartz, GaAs, InP …..